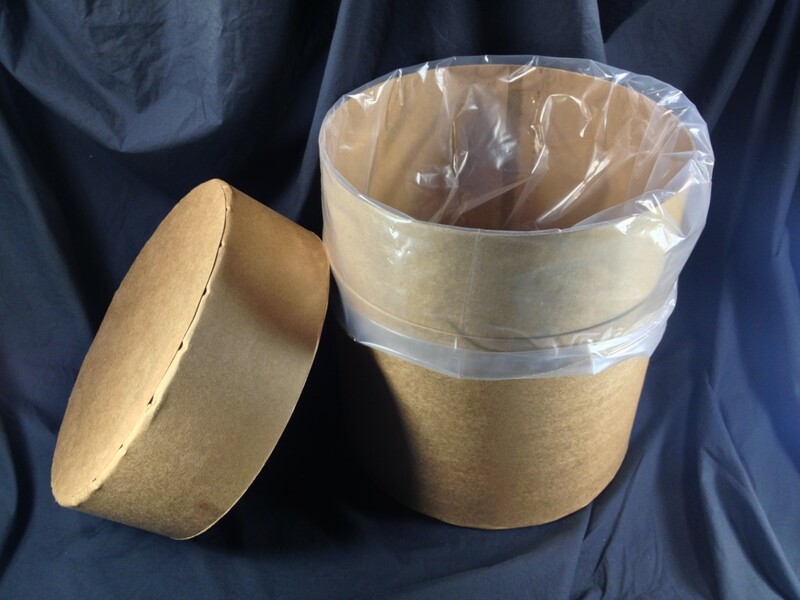 This image features our 14 gallon all-fiber fiber drum with a LDPE plastic liner. (drum and liner are sold separately) Plastic bags can be purchased in a wide variety of dimensions and thicknesses. Also worth mentioning is that fiber drums can be made to your height and diameter specification for as few as fifty drums for many sizes. Stock fiber drums can be purchased at any quantity.